So Philly went back to the Four-Seamer for Game 3 and pulled out the series in the Rubber Game. 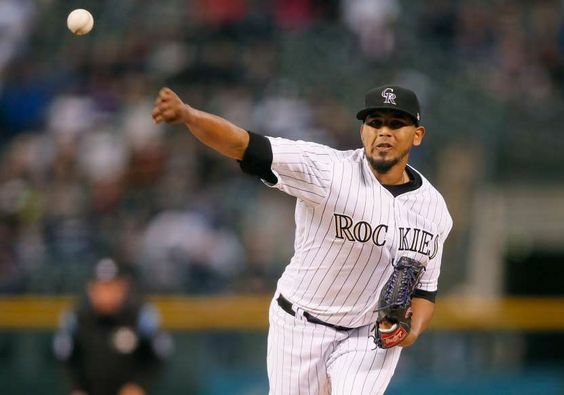 The two starting pitchers Marquez for Colorado (98 mph fastball) and Velasquez for Philadelphia (96 mph fastball) are both Tight Pitchers. Both throw in the above 95 mph range, and both rely on the same secondary pitches, so what was the difference maker yesterday? Is it just baseball? Is it the home team advantage? Was it the VMI? It certainly couldn't be the ADI, because both teams are playing in the same conditions. Could it have been the location of the pitches? Well, of course, that is always a concern, but neither appeared to have big control issues--both gave up 2 walks, the winner had 6 strikeouts and the loser had 8 strikeouts. Both pitchers were above 60% strikes with the primary 4-seam fastball. We all know the result, Philly hitters pounded the fastball. Seven hits against that pitch. Colorado got no hits off 70 4-seamers. 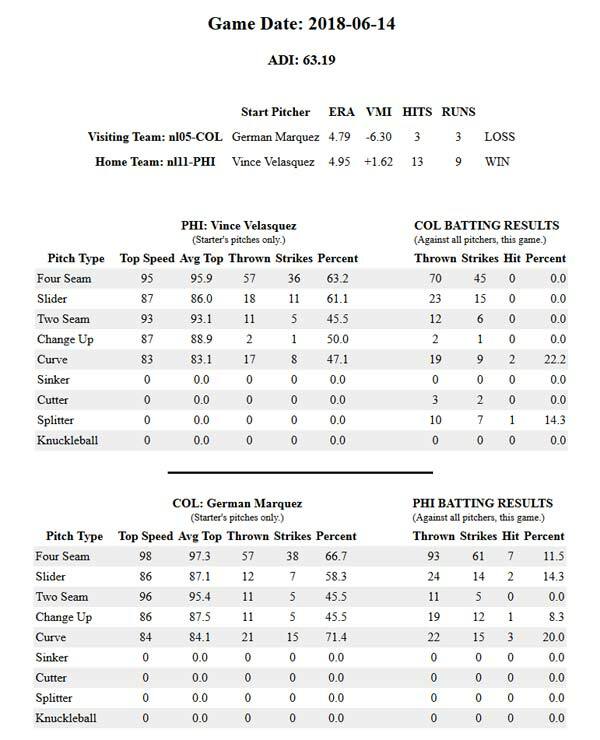 The VMI indicated Colorado would still be 1 inch below the 4-seamer and that Philly would be about 1/4 inch above that same pitch in their upper body setup versus what they are identifying with their eyes.